Semi Dedicated Plan was particularly introduced for the Providers who have medium sized businesses where they need to offer their client a Quality support but within the price, they can afford. Why You Prefer Us ? Every time I come to them they are courteous and fast to fix my issue. We built such a close bond that I only go to them and allow them full access to my servers. They even moved us over to larger servers with no downtime, can you believe it - NO DOWNTIME and that was awesome. They also have web design department that is doing and has done some fabulous work on goodguyprices.com (coming soon). I will not be going to any other company for my server and web design needs. Thanks again and I look forward to a long term relationship. May it be securing servers or dealing with any technology, their skilled team makes them 'Unique' as compared to any other company providing such services. We all have to agree that commitment, responsibility and expertise are the foundation of a great technical support team. You will find this and more with HostechSupport. Good support and excellent English when dealing with support and sales tickets! I really love this. 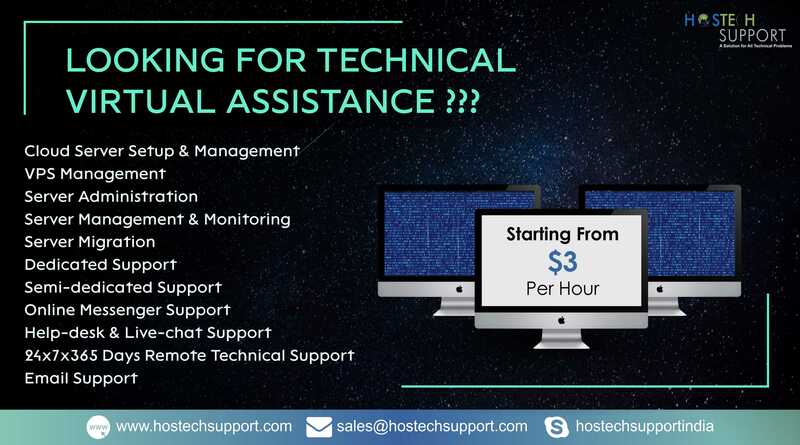 Hostech Support always stands first to help me out when my site was in trouble. My upload4earn.com remains very busy all the time because of a lot of users upload and download the files while this my site was link down due to too much traffic at upload4earn.com. I especially thanks to Miss Ravneet Walia Manager Hostech Support who always try her best to manage my site servers and to protect my site from malware threats. Hostech Support team keeps me updated about my site performance every second. Now I am fearless, calm and relaxed because Hostech Support team is with me all the time to manage and handle my site. Thanks Hostech Support team for your quick and prompt response when I need it. I have a problem with my server running on Nginx. The server is getting slower and slower. I can't find out the solution. So I came across Hostech and the problem was fixed quickly. They are good team and they has well-trained support. I would recommend them and I am sure it is worth to pay for their support. You will never regret work with them. Excellent support and prompt follow up by the support team. They took less than an hour to reply and fix my server issues.